Provide comfort for the family of Mary Plourde with a meaningful gesture of sympathy. 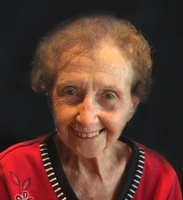 Mary E. Plourde, 89, wife of the late Paul Plourde, passed away on Saturday, April 13, 2019 peacefully at home. Born in Norwich on January 4, 1930, she was the daughter of the late Joseph and Helen Keenan. She had resided in Meriden for most of her life after graduating from Eastern Teacher’s College. Mrs. Plourde was employed by Meriden School Systems, having taught at John Barry School and other locations. She was a parishioner of Holy Angels Church. Mary was an avid animal lover, especially cats and dogs. She is survived by one son, Craig Plourde and his wife Diane; one sister, Eileen Chennette and her husband Henry; one niece, Deborah Chennette; two nephews, Brian Chennette and his wife Debbie and Dwight Chennette and Paul’s daughter, Karen and her husband Maurice Ouellette. She was predeceased by Paul’s daughter, Camille Graziano and her husband Tony and her aunt, Jane McBurney. All services and burial will be private. Should friends desire, contributions in her memory may be made to CT Hospice, 100 Double Beach Road, Branford, CT 06405. To plant a memorial tree in honor of Mary E. Plourde (Keenan), please visit our Heartfelt Sympathies Store.